If this month's previous birth control terror wasn't enough to scare you celibate, try the pharmaceutical industry's latest screwup: this time the pills aren't fake, they're just assembled backwards! Each white to off white tablet contains 0.18 mg of the progestational compound, norgestimate USP, together with 0.035 mg of the estrogenic compound, ethinyl estradiol USP. Each light blue tablet contains 0.215 mg of the progestational compound, norgestimate USP, together with 0.035 mg of the estrogenic compound, ethinyl estradiol USP. 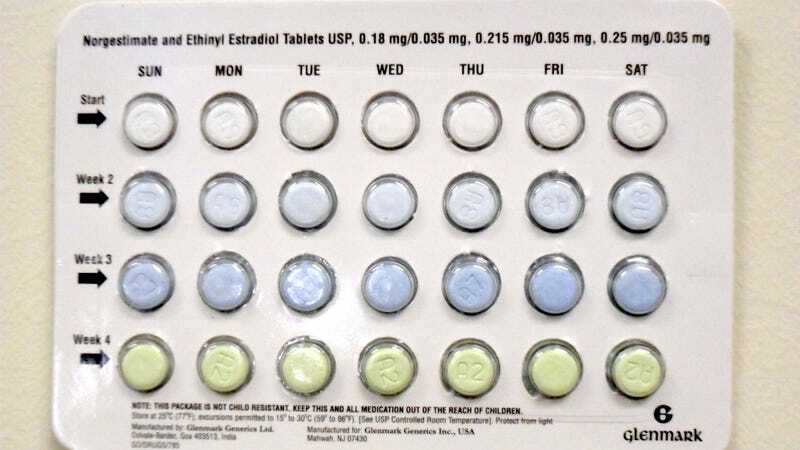 Each blue tablet contains 0.25 mg of the progestational compound, norgestimate USP, together with 0.035 mg of the estrogenic compound, ethinyl estradiol USP. Each light green tablet contains inert ingredients only.